Middletown, OH, August 21, 2017 – Gemma Power Systems, LLC sponsored and hosted a recent golf tournament at The Golf Club at Yankee Trace in Centerville, OH benefiting HEAL, an innovative family assistance program run by the Atrium Medical Center and supported by donors to Atrium Medical Center Foundation. The charity golf tournament raised $44,500 for the Help Endure a Loss (HEAL) Program which provides free of charge bereavement support to families coping with miscarriage, stillbirth, neonatal or childhood death. The HEAL Program works to provide emotional support while attending to the logistics that surround memorializing a child. “We’re pleased to be able to give back to the local communities in which we live and work,” said Daniel L. Martin, Gemma Power Systems president. This community support is a hallmark of the Gemma project experience and one we are proud to deliver to our customers, suppliers, subcontractors and the local communities we work and live in,” Martin said. “We’re very grateful for the assistance of our customer, NTE Energy, and our many suppliers and subcontractors who joined us in supporting the HEAL program and the Atrium Medical Center Foundation which provides such a critical service to Middletown and southwest Ohio,” Martin said. “On behalf of the many families that benefit from the HEAL Program, Atrium Medical Center Foundation is sincerely grateful for the tremendous support received and the dedication shown to our community through Gemma Power Systems’ generosity. This contribution to the HEAL Program endowment leaves a long lasting legacy to their time in our community,” said Michael Stautberg, president, of Atrium Medical Center Foundation. Gemma Power Systems is the Engineering-Procurement-Construction (EPC) contractor for NTE Energy’s 475 MW Middletown Energy Center being constructed on Cincinnati-Dayton Road. Engineering, procurement and construction activities are in full operation using many local suppliers and skilled craft workers. The plant is scheduled to be completed in 2018. Gemma Power Systems, a wholly owned subsidiary of Argan, Inc. (NYSE: AGX), is a leading Engineering, Procurement and Construction (EPC) company providing innovative solutions for the power and renewable energy industry. Our wide-ranging and comprehensive experience comprises 14,500 MW under contract and installed capacity including combined cycle and simple cycle gas turbine generating plants, biomass, solar facilities, wind farms, biofuel plants and environmental facilities. Additional information about Gemma Power Systems can be found at www.gemmapower.com. 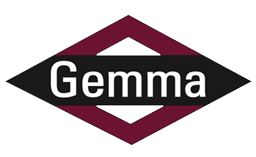 Follow Gemma on LinkedIn and Twitter @gemmapwr.